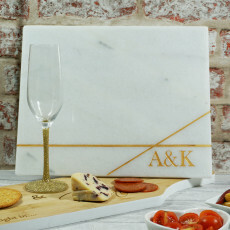 A beautiful slate cheeseboard, perfect for any occasion! Looking for a gorgeous gift for a special couple? 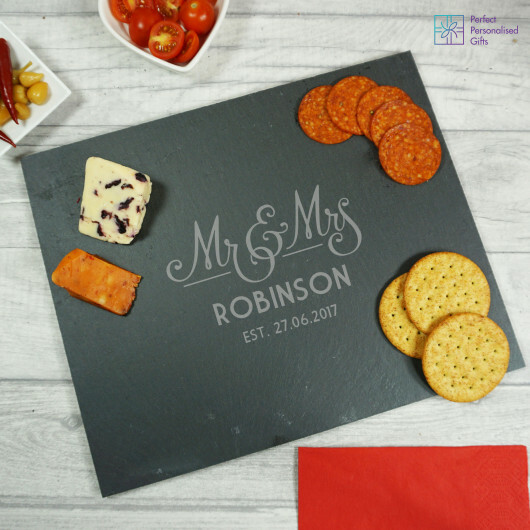 This Mr and Mrs Wedding Slate Cheeseboard is a lovely gift for any newlyweds. This modern piece will fit perfectly into any home. 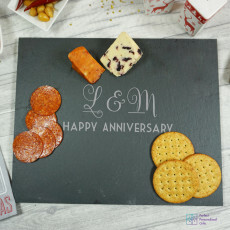 Personalise this wonderful slate cheese board with their surname and established date. Making it a one of a kind gift. Perfect as a wedding or anniversary gift! Your text will be printed exactly as you have entered it, so please double check spelling, punctuation and capitalisation. We will not add punctuation or amend incorrect punctuation. We will print exactly what you add into the box so please ensure it is correct. We cannot refund or replace your order if it is your error. We are happy to discuss any design variations you may like please just contact us and we will do what we can. This slate cheese board measures at 26cm x 30cm.